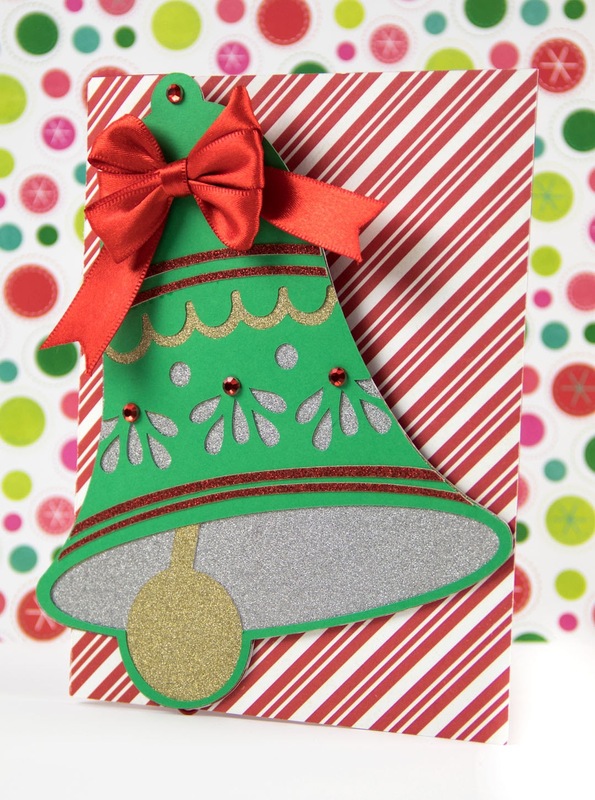 For this card, I used the Christmas Bell Card (#MB350A) from the Anna’s Christmas Kitsch Cricut Cartridge. The image size is 10.44 wide and 6.76 inches high. I love how my Cricut Explore cuts glitter paper like butter! I used glitter paper to layer behind my card and used pop dots to add stickers from my Anna Griffin stash. 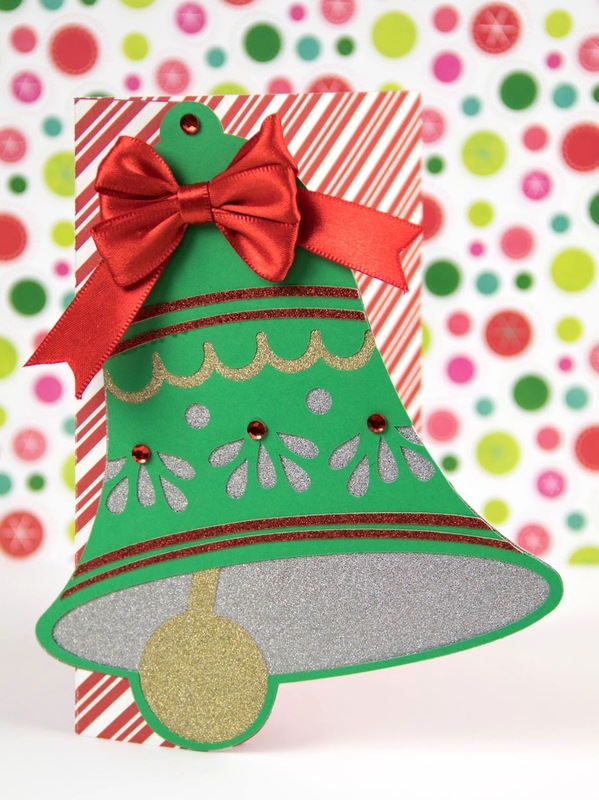 I love how the bell is shaped. Very pretty card, and your bow is AMAZING!!! I agree. 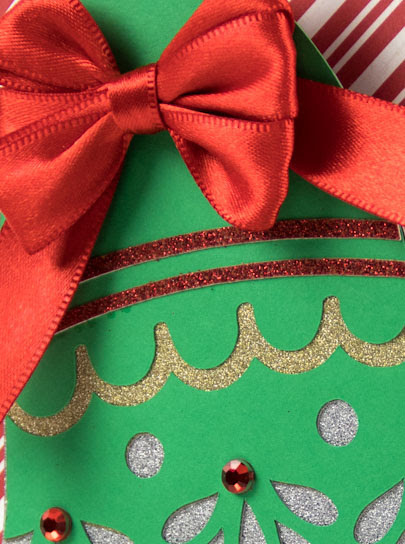 Pretty card, but I love that bow! Can you tell us what you used to make it? Thanks!